Can YOU solve the case of Tiger Island? Violet and her friends can’t believe their luck when they’re invited to a wedding on a tropical island. But when old enemies the Du Plicitouses show up at the same hotel, and a valuable figurine goes missing, Violet is sure the sneaky family are behind it. It’s a race against time – and a hungry tiger – to uncover the truth and make sure the big day goes to plan. 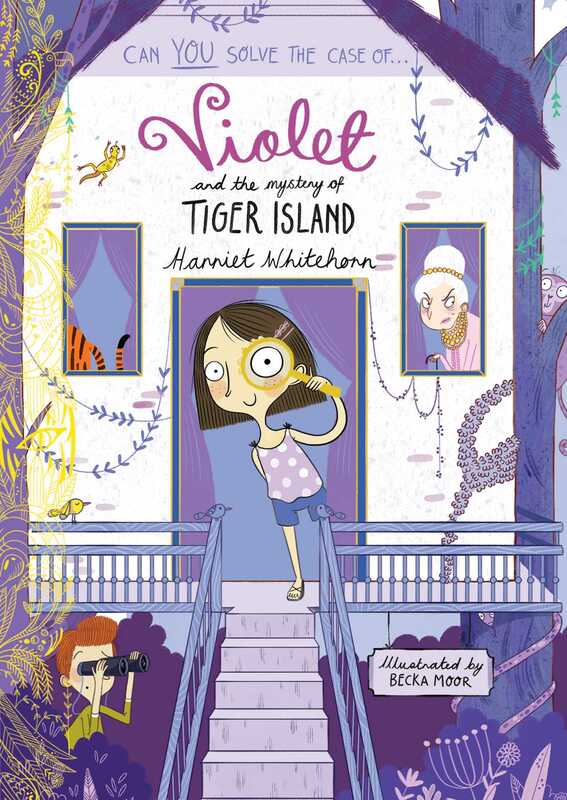 Complete with two-colour illustrations throughout by Becka Moor, this is a fresh and funny mystery and readers will fall in love with Violet’s quirky charm. Perfect for fans of Dixie O’Day, Ottoline and Goth Girl. Harriet Whitehorn grew up in London, where she still lives with her husband and three daughters. She has studied at Reading University, the Architectural Association and The Victoria and Albert Museum and has always worked in building conservation. She currently works for English Heritage. Violet and the Pearl of the Orient was her first children’s book and the first in a series, followed by Violet and the Hidden Treasure, and Violet and the Smugglers.